Why Laser for Gum Disease? Are you dealing with dental problems stemming from a receding gum line? You can protect your teeth and repair gum damage caused by gum recession with a soft tissue grafting procedure. What is Soft Tissue Grafting? Soft tissue grafting involves the extension of the gums surrounding the teeth, where a recession has already occurred. This is as a result of the periodic loss of gum tissue which makes the tooth appear longer as the gum line recedes. Therefore, the major role of a soft tissue grafting procedure is to provide coverage of the exposed root and to increase the quality and thickness of the existing gum tissue to bring further gum loss to an end. The exposed root surfaces have a pitiable aesthetic appearance and may result to sensitivity and make the tooth and root venerable to infection. How Does Soft Tissue Grafting Work? There are different types of soft tissue grafting that a periodontist has to consider depending on your specific need. This is the most common procedure for most adults and in almost all situations where patient comfort is the primary concern. This involves taking a flap of tissue on the roof of your mouth and another tissue from beneath the flap, which in medical terms is subepithelial connective tissue. This type of graft involves the “sharing” of soft tissue between the affected site and adjacent gum. This involves carefully dissecting a flap of tissue and releasing it which retains its connection to its blood supply. Our periodontist can combine pedicle grafts with connective tissue graft to offer better predictability of root coverage, especially in situations with excessive root exposure. After the procedure, the tissue that is moved to the contiguous area has blood vessels left in the place where healing starts virtually the moment procedure is done. This procedure is related to a connective-tissue graft, free gingival grafts which involve the use of tissue from the roof of the mouth. The difference here is a small amount of tissue is removed from mouth roof and attached to the gum area. The procedure is ideal for people who have thin gums and need further tissue enlargement. Who is a Candidate for Soft Tissue Grafting? As the gums recede and your roots begin to show, you can experience the pain and discomfort of root sensitivity especially when having hot, cold or sugary food and beverages it’s unbearable. Continued exposure of your tooth due to recession makes them more susceptible to decay therefore you can consider gum tissue grafting. Your smile is one of the first things others notice about you and, as a result of gum recession, you might be a bit self-conscious due to your current smile line. Gum grafting can restore the aesthetics of your smile, giving you the confidence you long for. If you notice initial signs of gum recession, you may want to have gum grafting done immediately to prevent future complications of the condition. If you have a family history of receding gums and you are showing signs of it yourself, it may be suitable to have gum grafting. 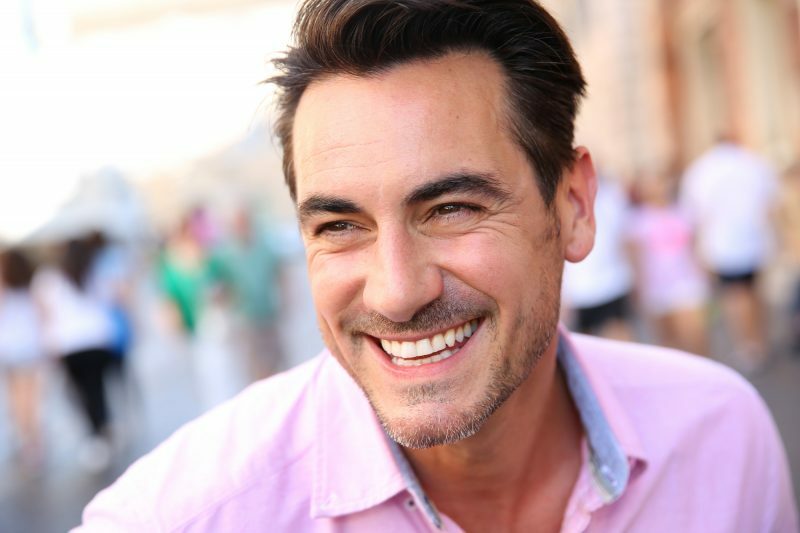 Fix Your Receding Gum Line in Boston, MA with Soft Tissue Grafting Today! Prognosis rates for the procedure are very high if carried out by a trained and experienced dentist and strict aftercare advice followed. At Lightfoot Center for Laser Periodontics in Hingham, MA and Norwood, MA, our periodontists are highly-trained and have experience in the full array of soft tissue grafting and gum-related treatments. If you have any questions, concerns, or would like to schedule an appointment, please contact us today. We provide our patients with the personal and professional care they deserve. Please fill out the form below to request an appointment or call us at 781-583-1134. Your privacy matters! We don't share your information with anyone. Here you go! Just click the download link below to download your free LANAP® Information Pack.